We have a soft spot for rugged wagons like the Volvo XC70 and the Audi Allroad, and while these useful soft-roaders are slowly going the way of the dinosaur here in the United States, they're still quite popular in Europe. 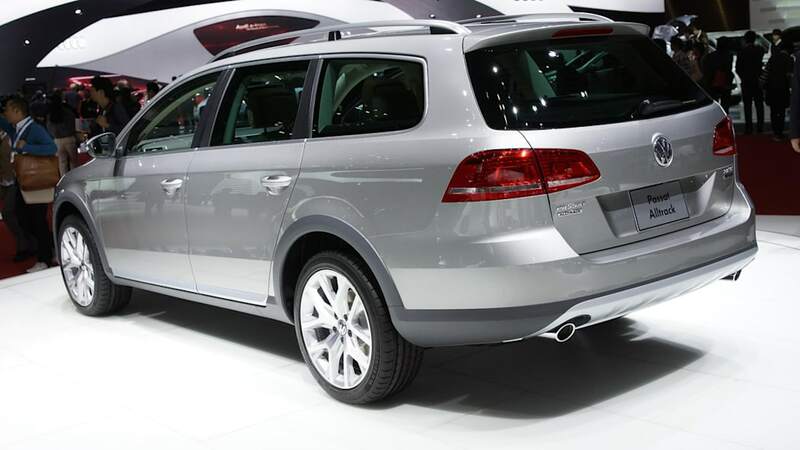 Volkswagen is now getting in on the action with this, the 2012 Passat Alltrack – a more capable version of the Passat Estate that isn't offered Stateside. 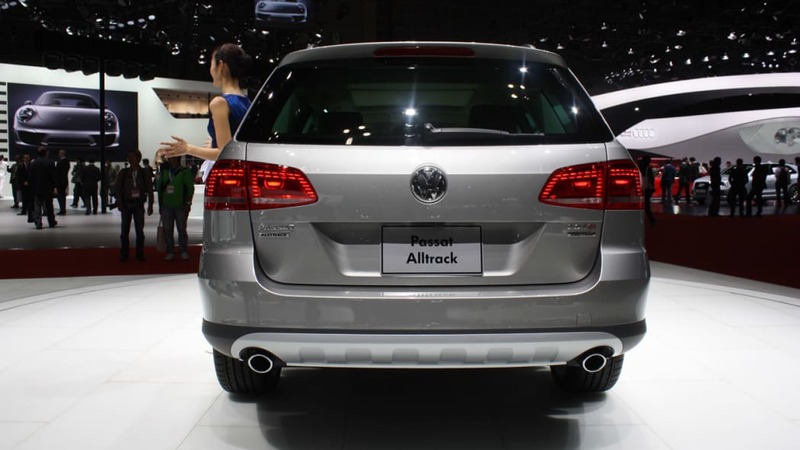 The Alltrack rides a full 30 millimeters higher than a standard Passat wagon, comes standard with 4Motion all-wheel drive and has an off-road mode. When engaged, the off-road setting activates hill descent assist, alters the ABS mapping to allow for higher thresholds on loose terrain and quickens the reaction time of the electronic differential locks in an effort to prevent wheelspin on gravel. 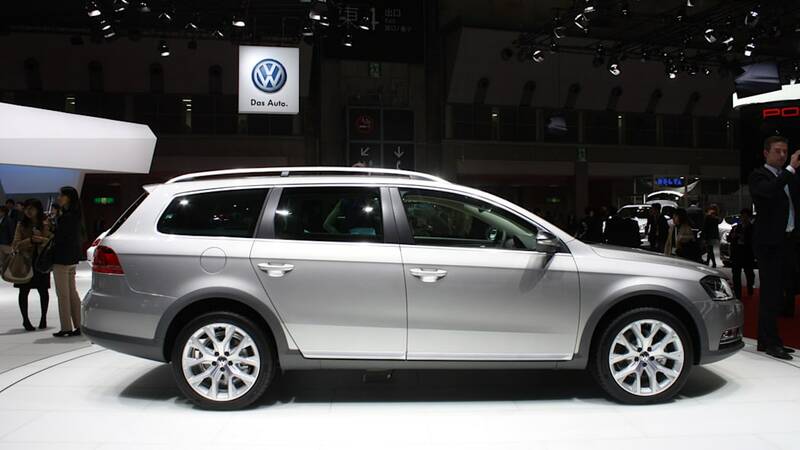 In the UK, Volkswagen will offer the Passat Alltrack with two versions of its popular 2.0-liter turbo-diesel inline-four, rated at 138 and 168 horsepower. 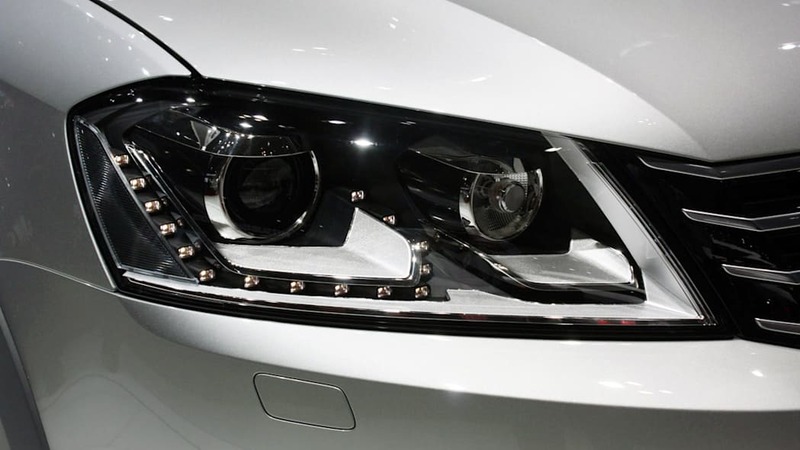 Follow the jump for the full details on the high-riding Passat, and click through our attached live gallery to see the new Alltrack under the lights of the Tokyo Motor Show. 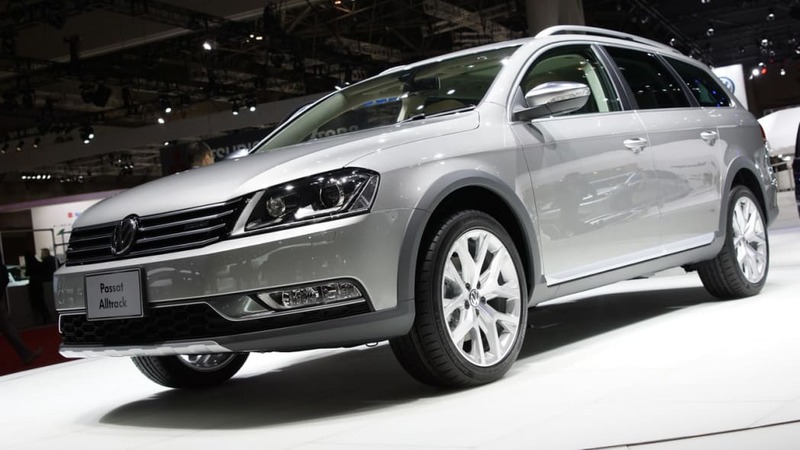 Volkswagen has today released the first images of the new Passat Alltrack, which is making its world debut at the Tokyo Motor Show next week, ahead of its introduction to the market in early 2012. 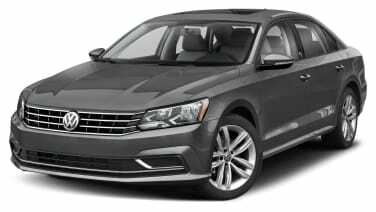 Based on the popular and versatile Passat Estate, the Passat Alltrack adds 4MOTION four-wheel drive and a raised ride height that give it greater agility off-road, along with stylish body enhancements that also provide some protection from scrapes when covering rough terrain. These include stainless steel-look front and rear underbody protection panels and flared side sills. Other features include matt chrome roof rails, window surrounds, grille and exterior mirror casings. 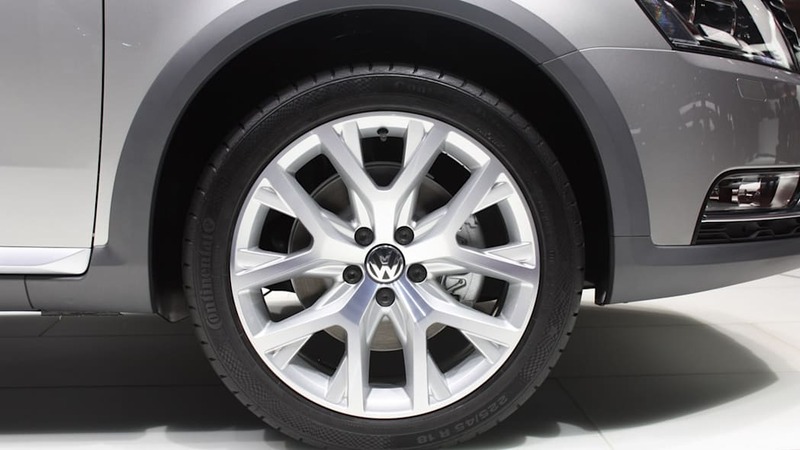 At 4,771 mm, the Passat Alltrack is exactly the same length as the Passat Estate, and despite flared wheel arch protection the vehicle's width also remains the same at 1,820 mm. The suspension is raised to increase ground clearance from 135 to 165 mm, which also improves the ramp breakaway angle (significant when crossing the crest of a hill) from 9.5 to 12.8 degrees. Ruggedly styled front and rear bumpers increase the approach angle from 13.5 to 16 degrees, and the departure angle from 11.9 to 13.6 degrees. 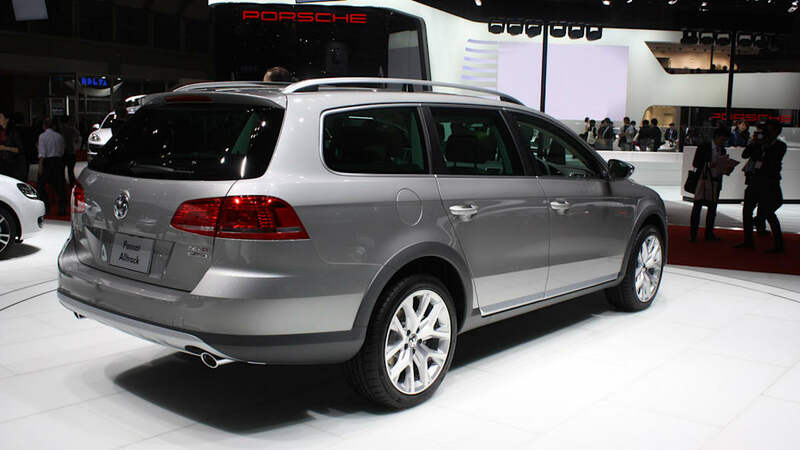 As with other Volkswagen vehicles featuring 4MOTION, on the Passat Alltrack the front axle is usually driven, with only 10 per cent of propulsive power going to the rear axle. This saves on fuel. If necessary, almost 100 per cent of power can be sent to the rear axle, through use of an electrohydraulic Haldex clutch. 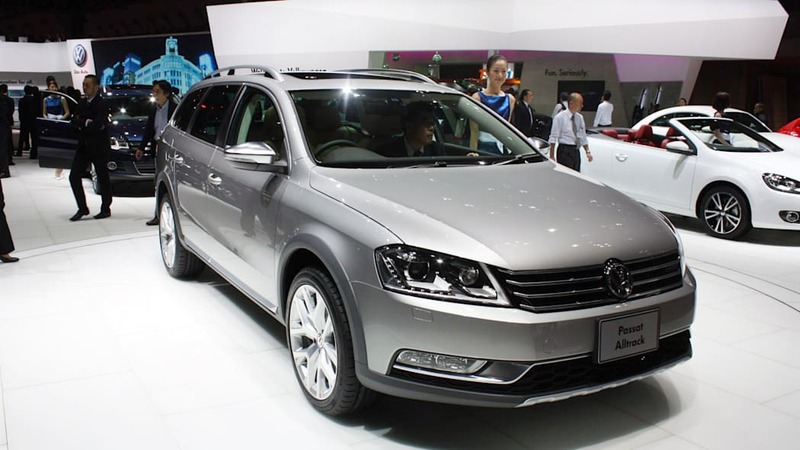 The Passat Alltrack also features an off-road mode, similar to that on the Tiguan Escape. 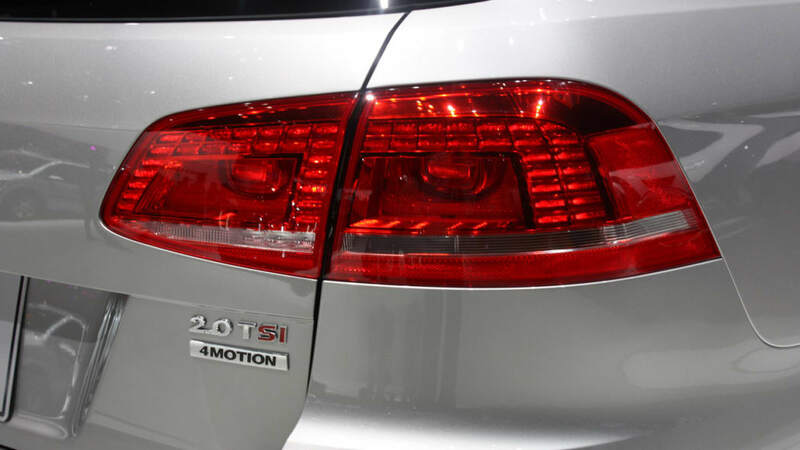 When switched on (via a dashboard-mounted button), this activates hill descent assist, which automatically brakes the vehicle when the descent angle is greater than 10 degrees. The ABS function is also altered, with higher thresholds for operation on loose surfaces, along with faster-reacting electronic differential locks (EDS) to prevent wheelspin. For vehicles fitted with DSG dual-clutch transmission, the shift pattern is also altered when off-road mode is engaged, with higher shift points to give more power, a flatter and easier to manage accelerator pedal movement and no automatic upshifting in manual mode. In the UK, the Passat Alltrack will be available as a 2.0-litre TDI 140 PS with six-speed manual gearbox or a 2.0-litre TDI 170 PS with six-speed DSG transmission. 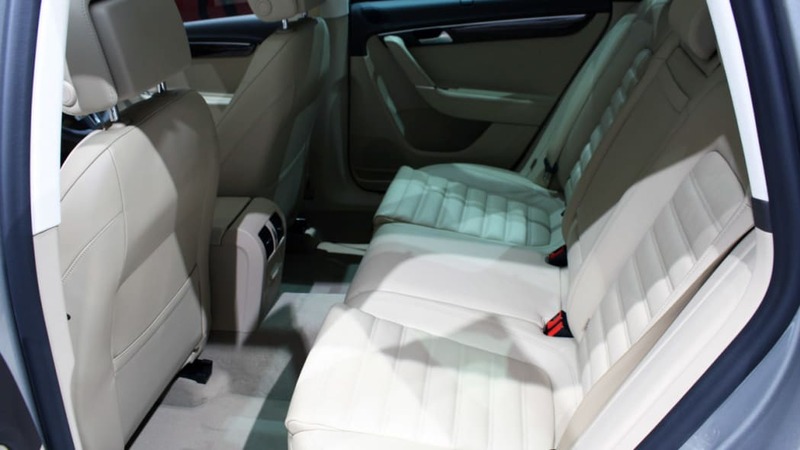 Standard equipment will include Alcantara upholstery, 2Zone electronic climate control, cruise control, tyre pressure monitoring system, MDI iPod connectivity, Bluetooth telephone preparation and 18-inch alloys. Retailers in the UK are expected to start taking orders for the new car in April, with first deliveries scheduled for July. More details including pricing will be available nearer the launch date. For more information on the Volkswagen range visit www.volkswagen.co.uk.